The official language of Mali is French. The most widely spoken language is Bamanankan. 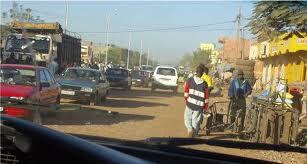 Mali has 18,912 kilometers of road network, of these 3, 597 kilometers are paved. The country has about 1,800 kilometers of inland waterways along the Niger River. Some parts of the Senegal River also are navigable. There is a narrow gauge railway line of 593 kilometers. Mali also has 21 airports of which 8 of them have paved runways. Only about 10% of Mali’s population has access to electricity. Hydroelectricity represents 70% of the electricity produced in the country. The energetic consumption of Mali is at 80% biomass. Wood is used as the major source of energy by most households.